Viknesh Vijayenthiran April 21, 2017 Comment Now! 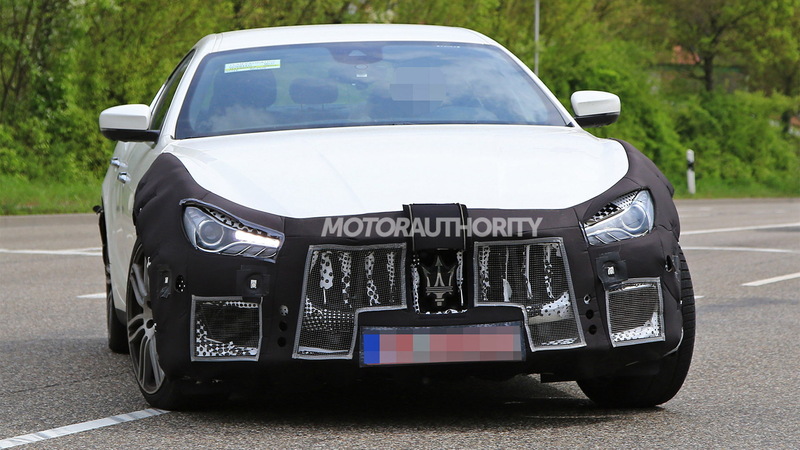 Maserati’s Ghibli will soon come in for a subtle facelift. Prototypes for the updated car have been spotted ahead of a likely debut late this year or early next. Recall the current Ghibli made its debut in 2013, as a 2014 model. The tweaks are part of a mid-cycle update to keep the mid-size sport sedan looking fresh among a band of rivals that have mostly been redesigned in the past year. The positioning of the camouflage gear suggests some tweaks to the bumpers. 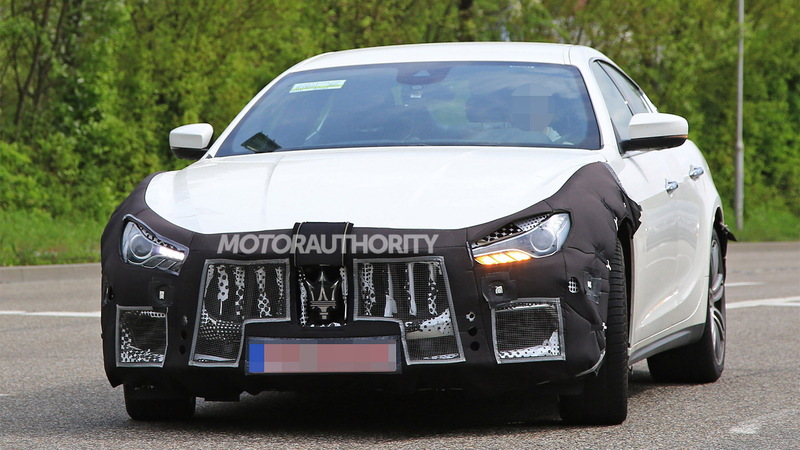 We should also see the grille adopt the more rigid design implemented for the larger Quattroporte’s own mid-cycle update. 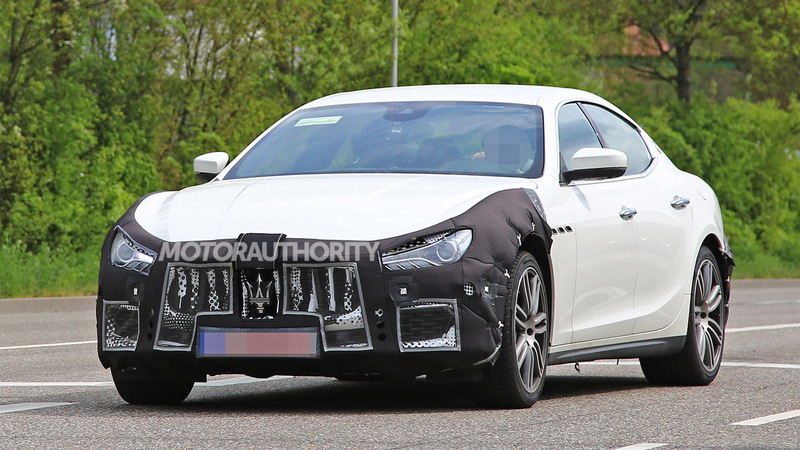 Also borrowed from the Quattroporte should be the new GranLusso and GranSport trims, replacing the current Ghibli’s Luxury and Sport trims, respectively. 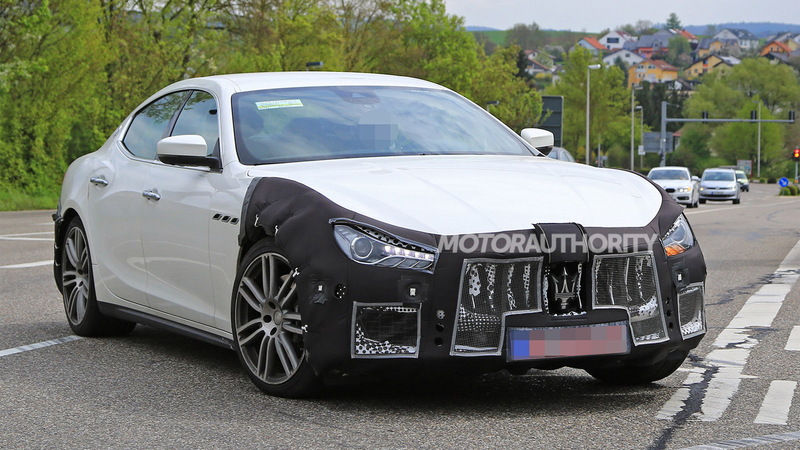 We aren’t expecting any major changes inside as Maserati has just updated the Ghibli’s infotainment system for the 2017 model year, shown here. The center of the dash was redesigned to accommodate Fiat Chrysler Automobiles’ ubiquitous 8.4-inch touchscreen display and a new rotary dial controller was added to the center console. We’re also not expecting any changes to the powertrains. 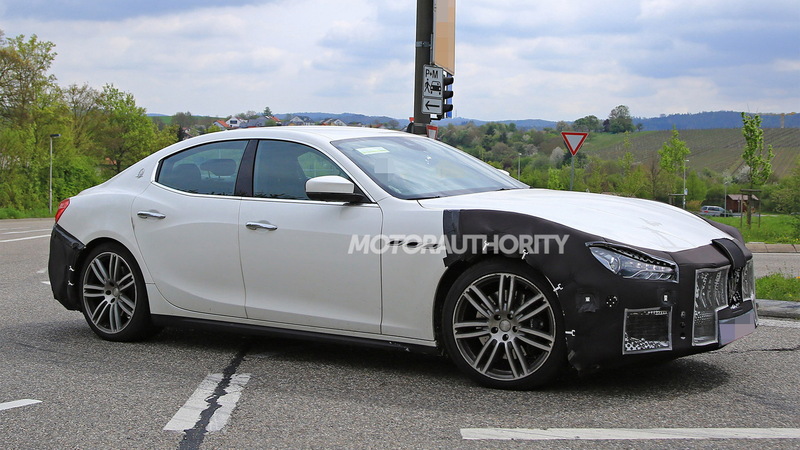 This means there will continue to be a base Ghibli and sportier Ghibli S, both powered by a 3.0-liter twin-turbocharged V-6 mated to an 8-speed automatic transmission. The Ghibli delivers 345 horsepower, accelerates to 60 mph in 5.5 seconds and tops out at 163 mph. The Ghibli S has 404 hp on tap, accelerates to 60 mph in 4.9 seconds and reaches a top speed of 177 mph. The Ghibli S is also available with all-wheel drive, helping its 0-60 mph time drop to 4.7 seconds. Top speed for this configuration is 176 mph.